Pioneer’s flagship CDJ player, the CDJ-2000NXS, offering exciting features and technologies including Wi-Fi® connectivity, a first in the industry, compatibility with Pioneer’s new rekordbox™ App for iPhone, iPad or iPod touch, Android tablets and smartphones and new functions such as Beat Sync, Wave Zoom and Slip. Newly enhanced features inherited by the CDJ-2000NXS include a selection screen interface for a more intuitive music search experience, increased visibility of the needle search pad, and improved master tempo sound quality. 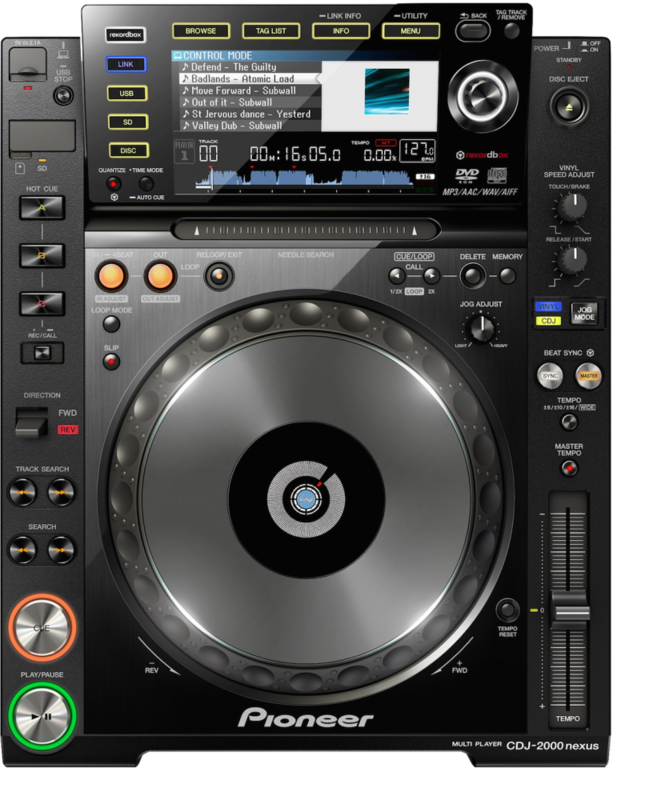 The CDJ-2000NXS can utilize different music sources, from a hard drive to USB thumb drive and/or SD memory card, and now for the first time, an iPhone, iPad and iPod touch, Android devices and a computer via Wi-Fi. Using Pioneer’s rekordbox App to create playlists, cue/loop points, beat location settings, waveform analysis and more, users can temporarily transfer the content wirelessly through Wi-Fi to the CDJ-2000nexus. Users can also perform the same wireless function with a Mac/PC utilizing the rekordbox music management software.